Originally listed for 165.000 ?, and recently reduced to 155.000 ?. 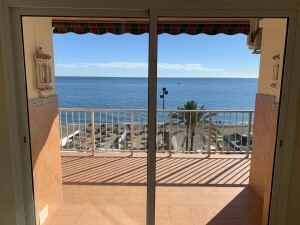 Excellent opportunity to purchase an apartment in the area of La Alcaidesa, located in a new development Residencial Terrazas de Alcaidesa near the golf course and close to the beautiful beach. 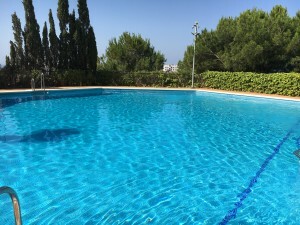 The property is located in a private complex with communal pool and gardens. It is a ground floor apartment with a fantastic terrace with 120 m2, it is completely new with a great kitchen and spacious bedrooms. 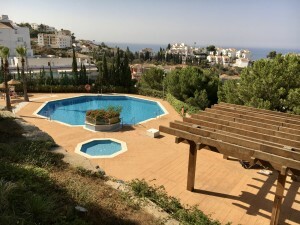 It enjoys privacy and tranquility situated in the corner of the block with views to the sea and the nature. It comes with parking and storage. Virtual tour and floor plan available.